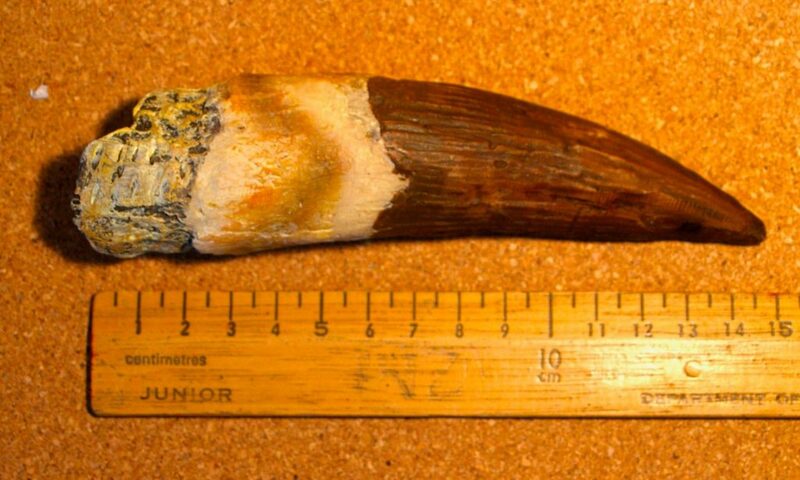 Which is the spinosaurus tooth? The teeth are only replicas and are not fossils. 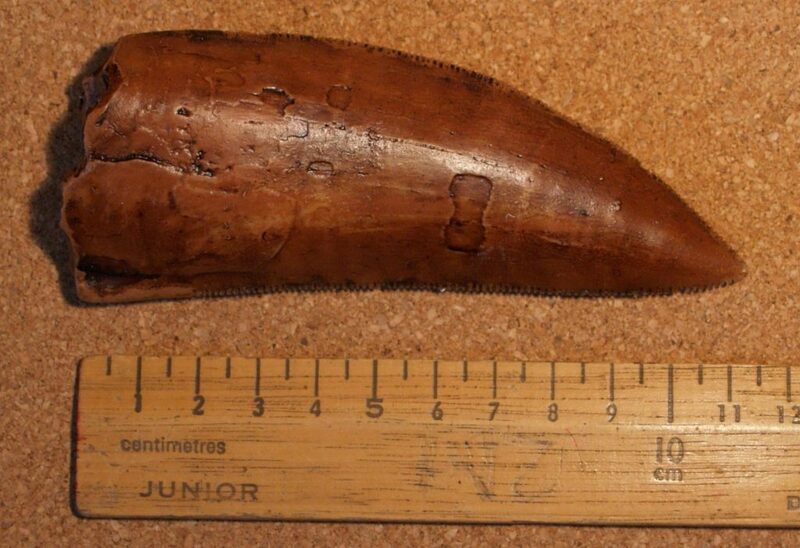 Which tooth belonged to the spinosaurus? Did you guess number 3? What did they eat? – Carcharodontosaurus were meat eaters. When did they live? – Carcharodontosaurus lived around 100 to 93 million years ago. Click on the dinosaur’s name to learn more. What did they eat? – Albertosaurus was a meat eater. When did they live? – Albertosaurus lived about 70 million years ago. How big were they? – They could grow to a length of up to about 9m long. What did they eat? – They were meat eaters. When did they live? 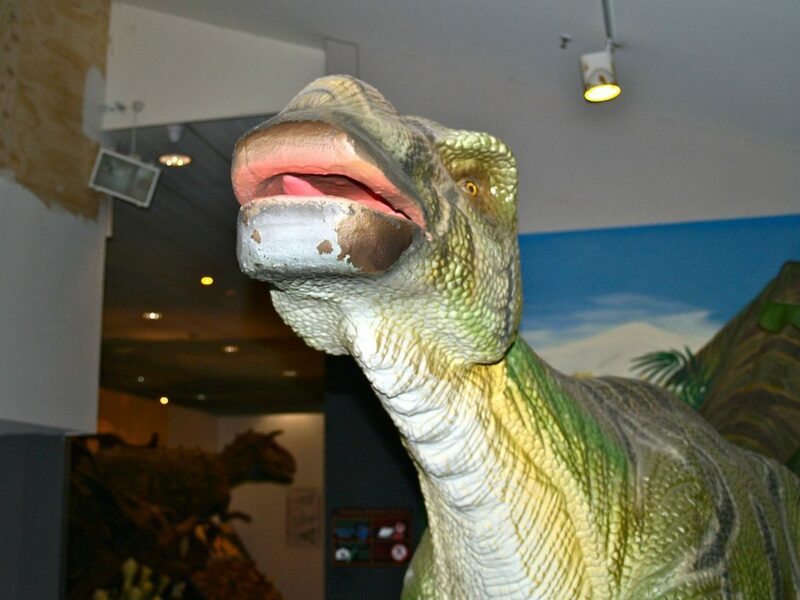 – Tarbosaurus lived about 70 million years ago. It might be the Asian type of T-rex. How big were they? – They could grow to a length of up to about 12m long. What did they eat? – They were plant eaters. When did they live? – Iguanodons lived around 135 to 125 million years ago. When did they live? 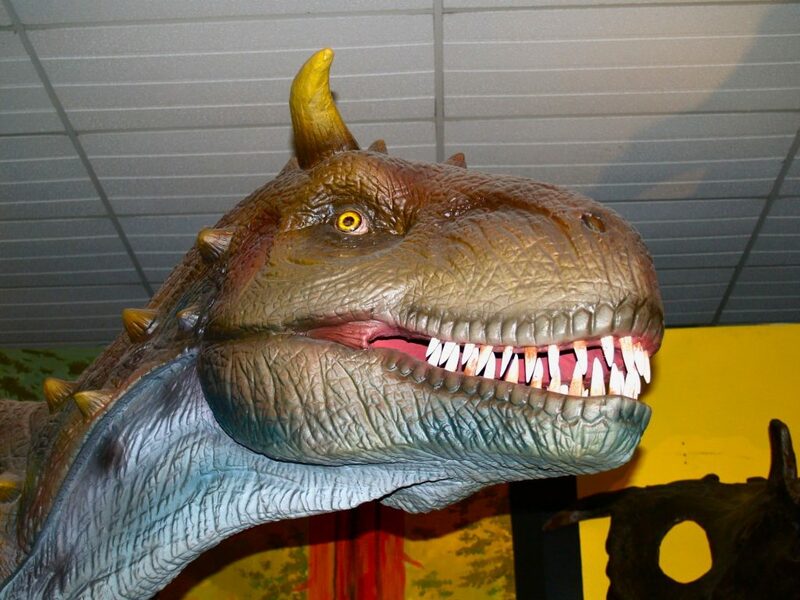 – Carnotaurus lived around 72 to 70 million years ago. How big were they? – They grew up to about 9m long. 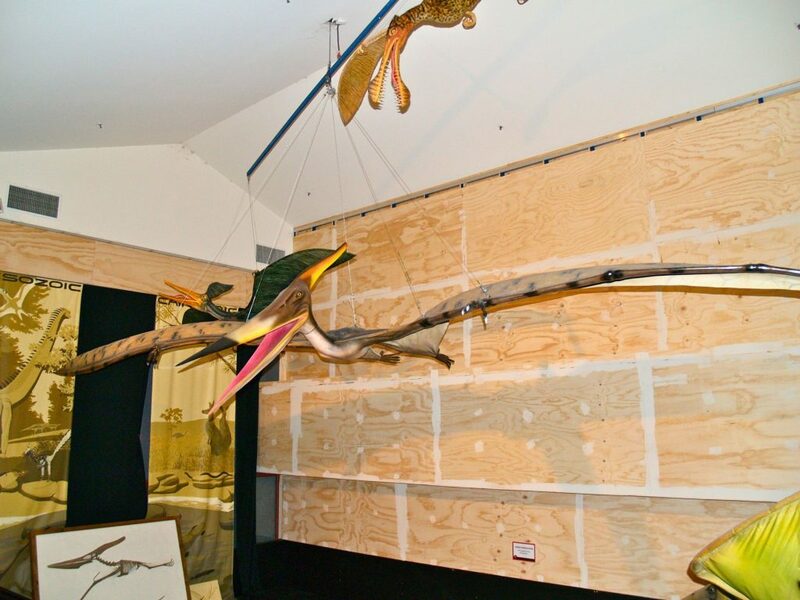 The pteranodon were not dinosaurs. They were flying reptiles. What did they eat? – They probably ate mostly fish. When did they live? – Pteranodons lived around 85 to 75 million years ago. How big were they? – The pteranodons could have a wingspan (wingtip to wingtip) of over 6m. How many types of pteranodons were there? – Scientists have found over 1,200 species of pteranodons. Could they fly or only glide? – In early years many thought they could only glide but we now believe they could fly. Some were known to have flown long distances just like some birds migrate thousands of kilometres. 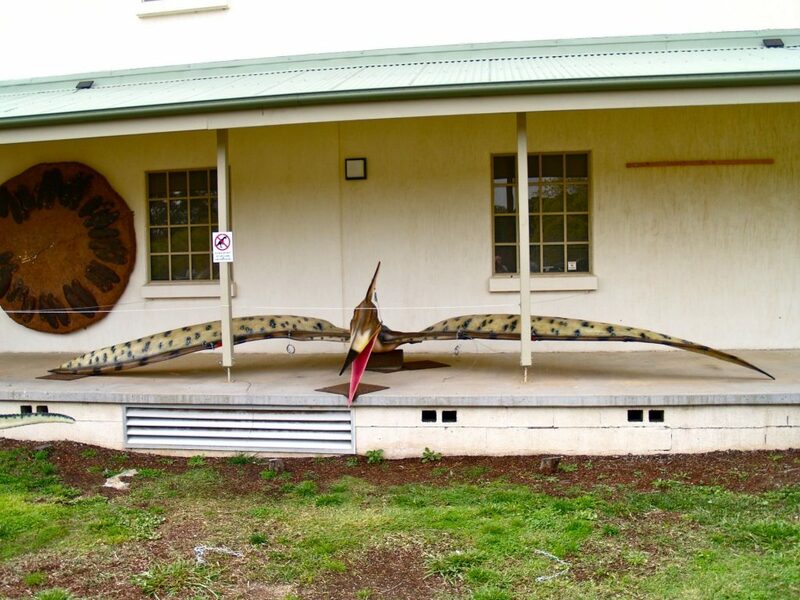 Click on the video below to see one of the flying reptiles models move. Deinosuchus was not a dinosaur. It is related to modern day alligators. 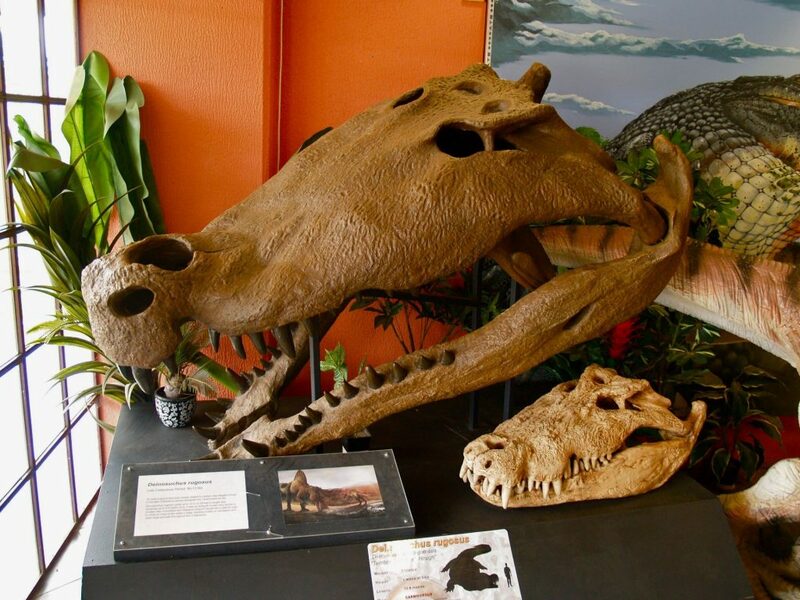 The small skull is of a modern crocodile. What did they eat? – Like modern day crocodiles and alligators, deinosuchus ate meat. When did they live? – Deinosuchus lived around 80 to 73 million years ago. How big were they? – They could have been up to 8 to 10m long. What did they eat? – The triceratops was a plant eater. When did they live? – Triceratops lived around 68 to 66 million years ago. How big were they? – The triceratops could be up to 9m long and 3m high. How did they protect themselves? – The three horns on their heads were probably used to protect them but they may also have been used to attract a mate. Were there more types of ceratops? 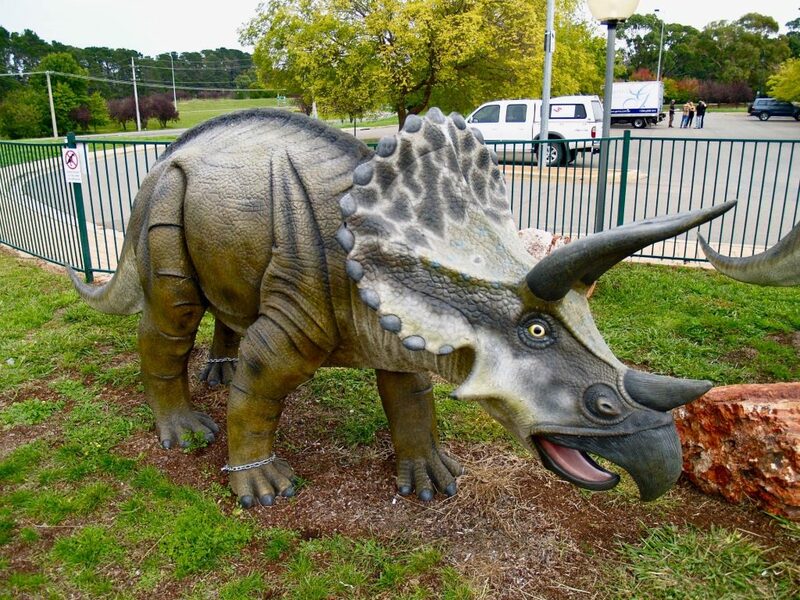 – Over time, there had been many types of ceratops although the triceratops is the most famous. 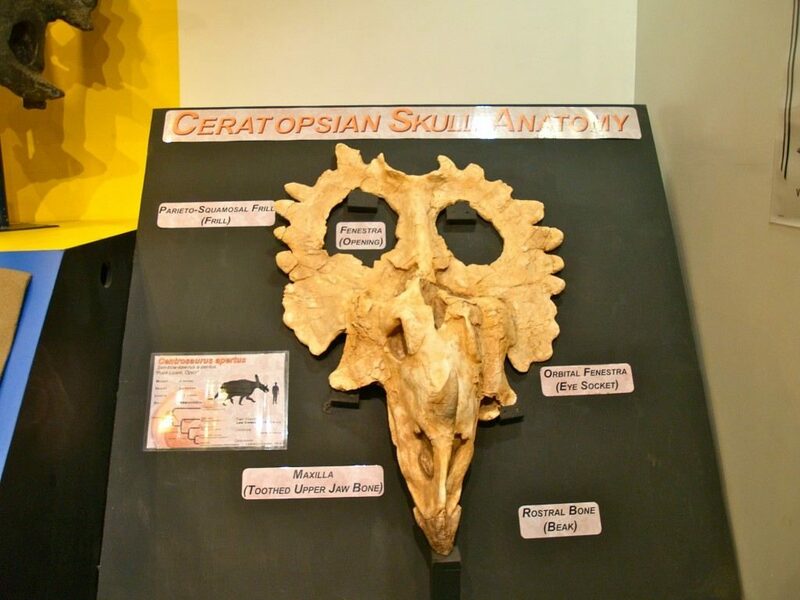 The photo below shows the skull of a centrosaurus apertus, another ceratops type. What did they eat? – The stegosaurus was a plant eater. When did they live? – Stegosaurus lived around 150 to 155 million years ago. How big were they? 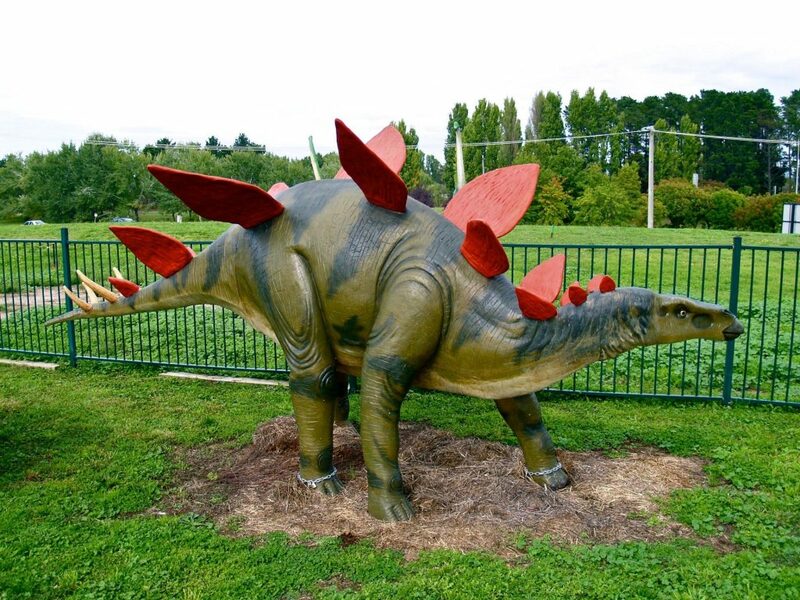 – The stegosaurus could be up to 9m long and 4m high. How did they protect themselves? – Look at the photo below. 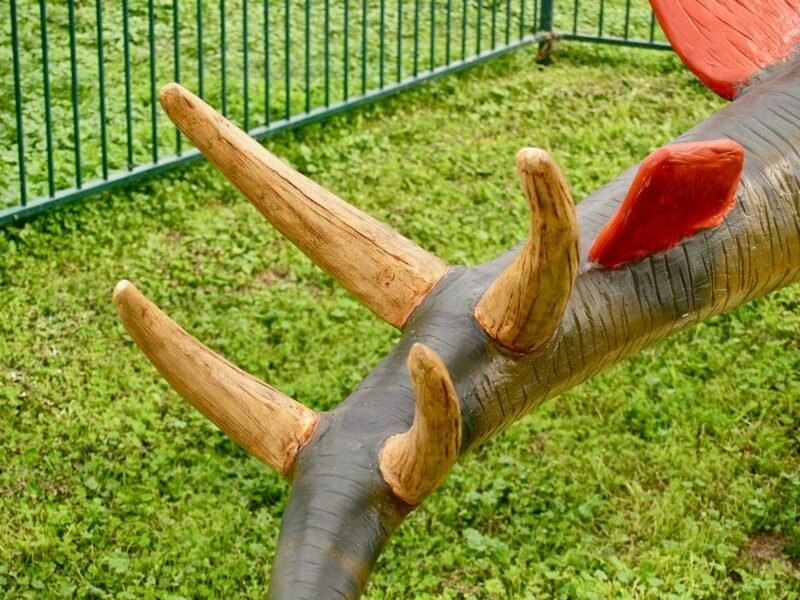 The stegosaurus would wave their tail spikes to warn attackers. The plates on their back most likely helped them warm up or cool down and could also have been used to protect them. What did their skeleton look like? 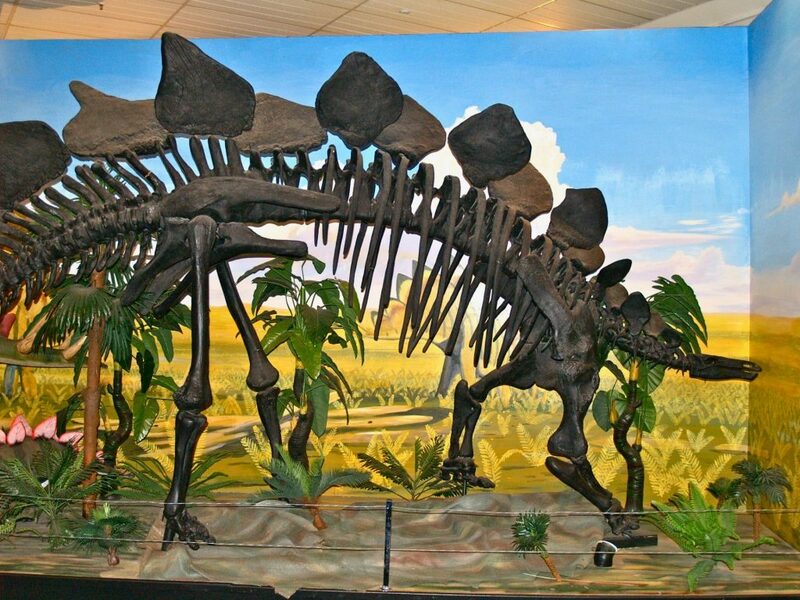 – Inside the museum, you can see a skeleton of a stegosaurus. You can see how small its head was. How big was its brain? – Despite its large size, its brain was only about the size of a dog’s brain. When did they live? 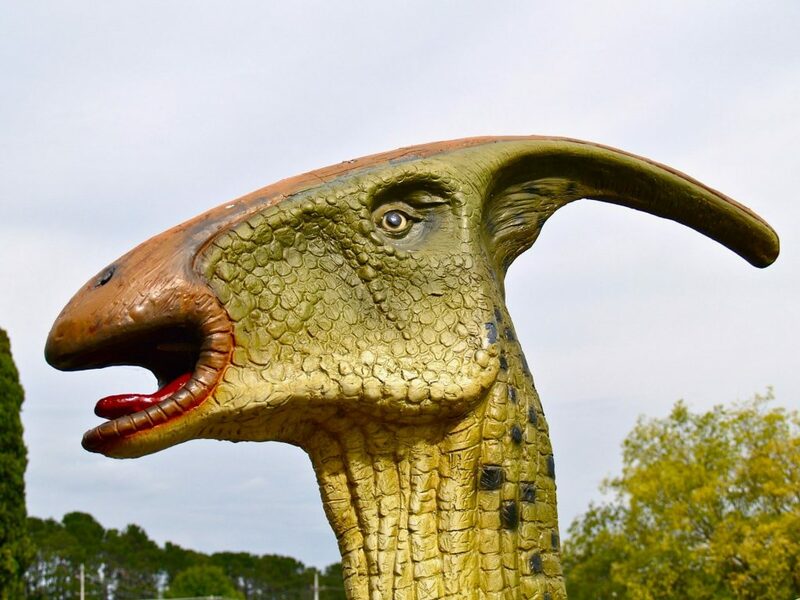 – Parasaurolophus lived around 76 to 73 million years ago. How big were they? – They were thought to grow to over 9m in length. What did they eat? – They were plant eaters. It seems they could stand on their back legs to reach higher for food. When did they live? 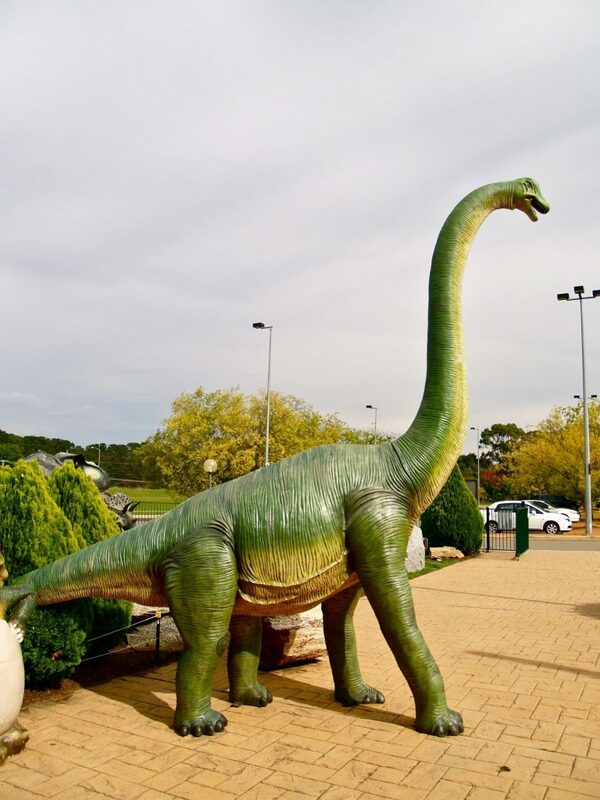 – Brachiosaurus lived around 156 to 145 million years ago. How big were they? 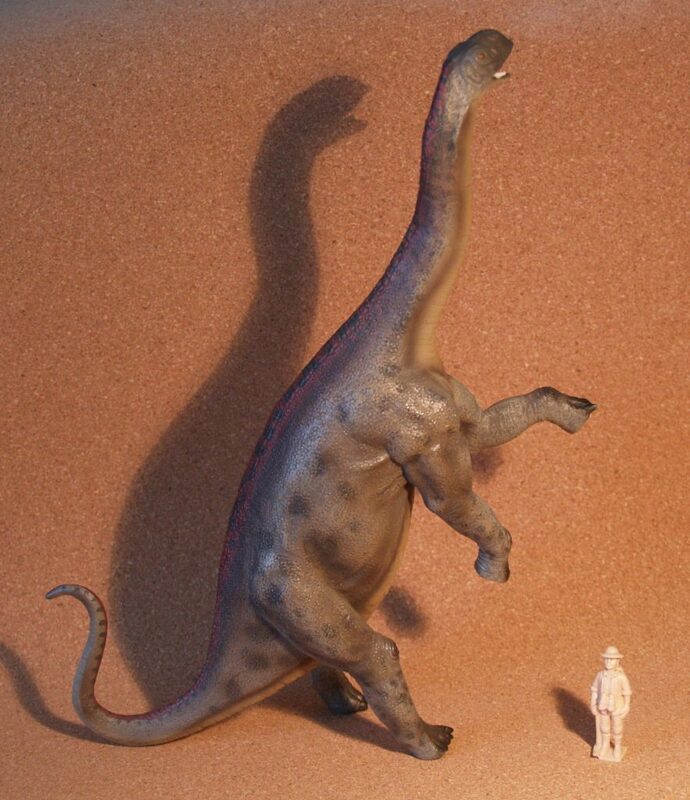 – The brachiosaurus could be up to 27m from head to the tip of its tail. I don’t have a picture of a brachiosaur but I do have one of a Jobaria. 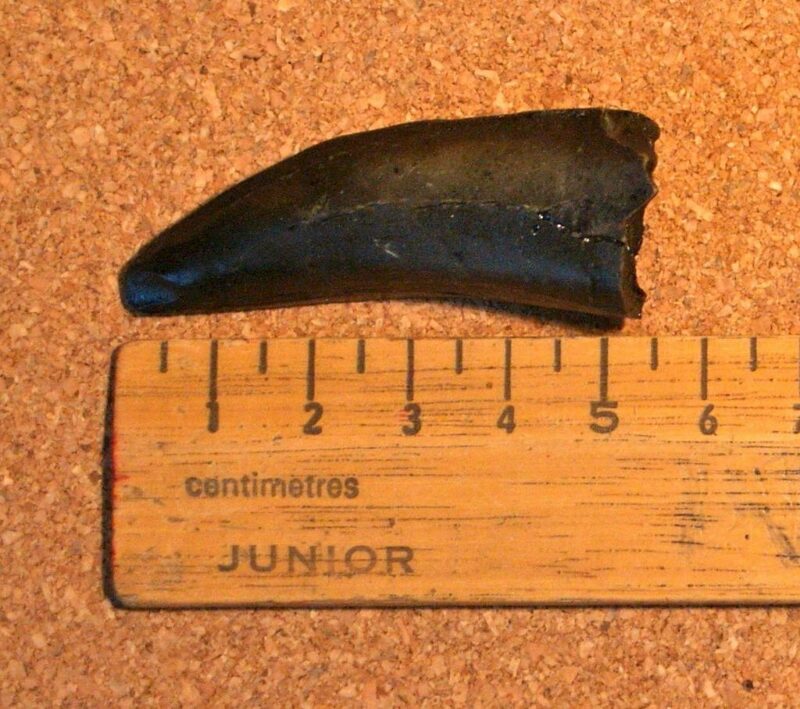 The Jobaria was about the same length as a brachiosaur. The picture shows the Jobaria standing on its back legs. There are a number of types of raptors including the Utahraptor below. Did they have feathers? – It’s thought the raptors may have had feathers. What did they eat? – They were meat eaters and may have hunted in packs. 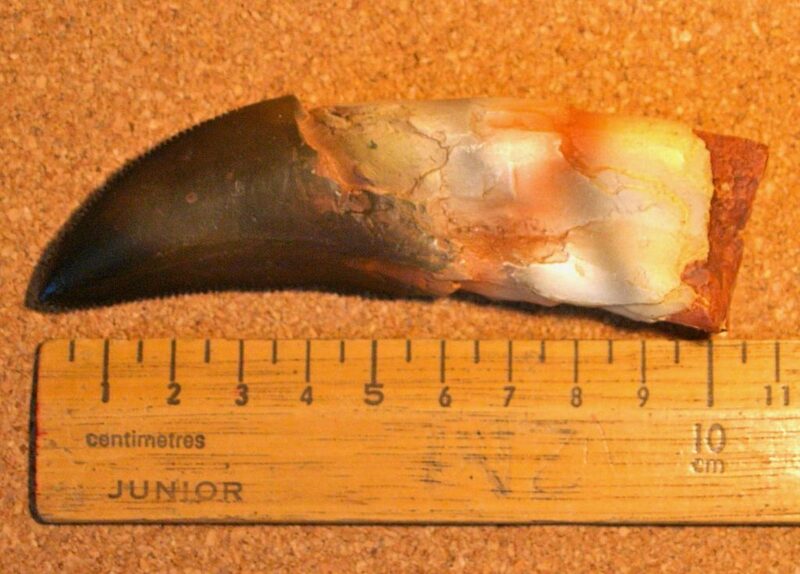 Look at the photo of a replica raptor claw. When did they live? – Velociraptors lived around 75 to 71 million years ago. 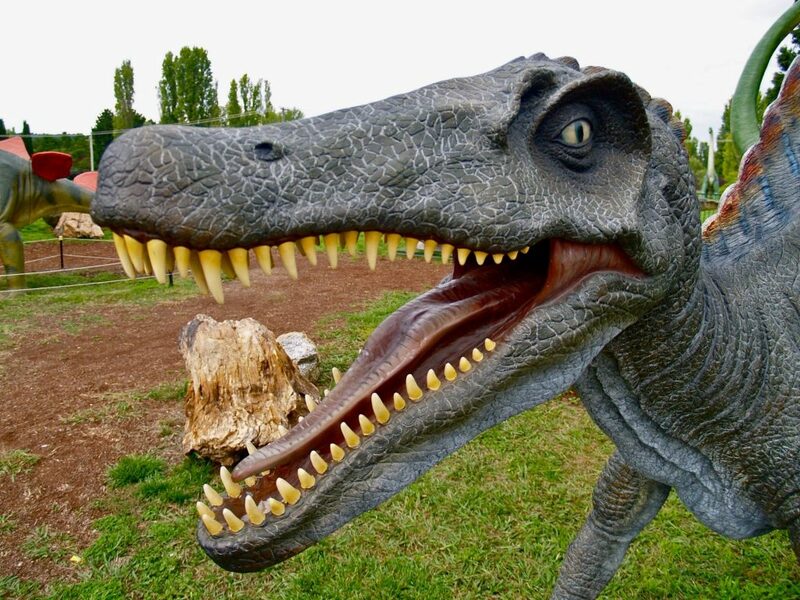 Utahraptors were much earlier at around 120 million years ago. How big were they? 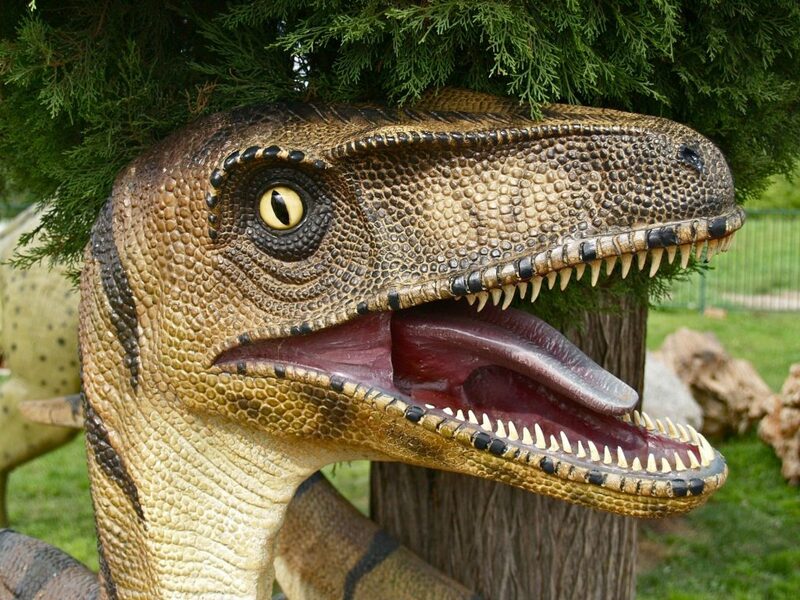 – It’s thought velociraptors could grow to around 1.6m long and 60cm high. Utahraptors could grow to around 7m long. 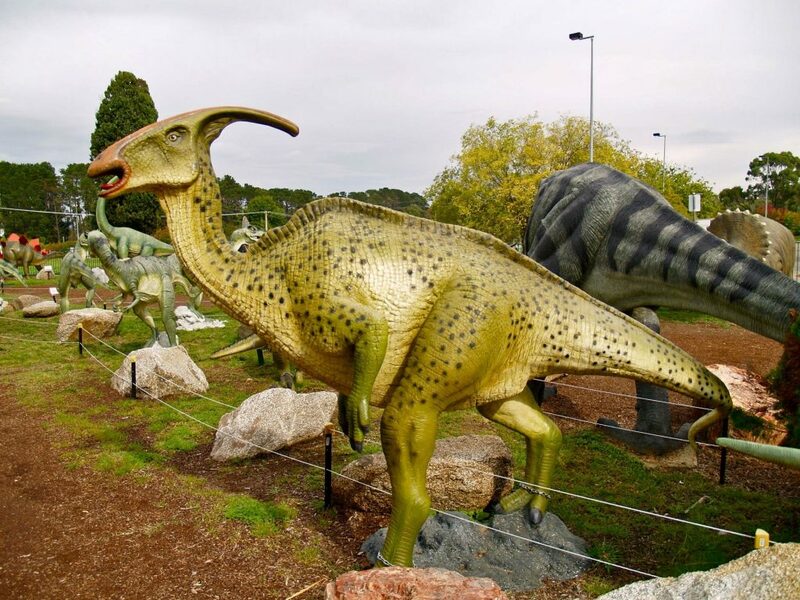 The video below shows an animated model of a Utahraptor at Canberra’s National Dinosaur Museum. When I look at this video, I think it isn’t really a velociraptor as it is too large. 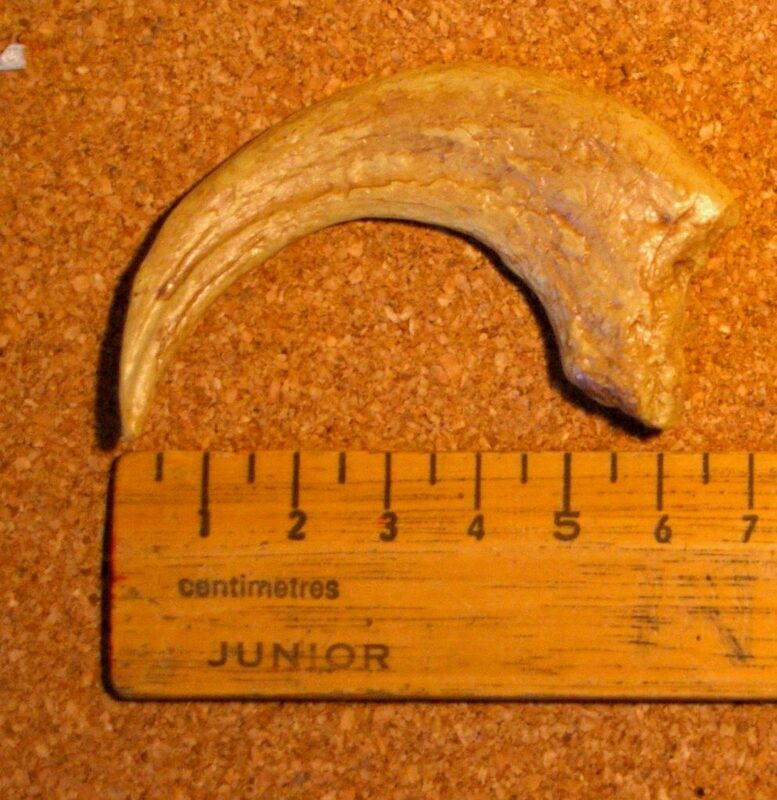 It may be a model of a Utahraptor because they could grow much bigger.